Do you consider yourself successful? That was the hot-button question that my husband asked me last night. I wasn’t prepared for how hard that question would hit me. I Stammered. I danced around in my mind trying to figure out what that meant exactly. I tried to say yes, but somehow it came unconvincing – and it made me sad. That must mean that the answer is no, right? After giving it more thought, I’m still grasping for greater understanding about this one. Yes, I have most certainly had successes in my life – some pretty cool ones. I was the first person in my family to graduate from college. I worked in the extremely fast paced and demanding field of television news for years. Then went on to a talk show where I worked myself up from a production assistant to the actual Producer of the show – a show that became nationally syndicated. I felt inspired to write a book, which I completed after four years of mastering an entirely new learning curve, and even managed to ghostwrite another one that was picked up by a traditional publisher in the meantime. Personally, I’ve been married to my high school sweetheart for over 24 years (a rare success all its own) and together we’ve raised two sons – kept them safe, healthy and encouraged. But most of all, I feel as if I’ve become more aware of and closer to the loving and mysterious power that rules the world. I’ve learned to see it at work in my daily life and at times it’s filled my heart to overflowing with the most wonderful, all consuming kind of love. It’s taught me to delight in the simplest of pleasures – beauty, nature, laughter and those rare and special moments of true and deep communication with another human being. Of all the successes of my life – those are the things that seem to be the most valuable to me. Due to this new heightened awareness, I’ve changed my way of living. Instead of making plans and then doggedly going after them, I now choose to silently ask for guidance each day, and then await opportunities and inspirations on where to go next. I don’t believe in accidents anymore – feel like everything that comes into my life is there for a reason. And so I look for ways to serve, help or heal. Since taking on this mindset, many of my old life dilemmas have been solved and miraculous gifts have taken their place. My husband found the opportunity to leave a job that was draining him, allowing us to move to a new area, improve our financial situation and live in a house that could only be defined as our “dream home” – despite it defying all the odds of a down economy. One son was accepted into one of the best schools in the state, and the other has called the move to this new city “the best thing that ever happened to him.” Miracles supplied in direct response to our daily desires. That is truly a success. Yet, I stammered at the question “do you consider yourself successful.” With all that I’ve previously stated, why wasn’t my answer a quick, easy and even joyous yes? Earlier this week I wrote about an insightful personality test that I’d taken – and I must say that’s it’s given me some food for thought. My “personality type” is an INFJ – a person continually committed to personal growth and the desire to make the world a better place. Yes, that certainly does describe the motivation behind all my life decisions. But then it also said that “the downfall of this type is that pinning your hopes and happiness on ‘changing the world’ often leads to disillusionment.” While honorable, it’s too big and can lead to an underlying sense of disappointment. When I read that I felt another twinge of my soul. Am I subconsciously withholding my own approval of myself contingent upon this book becoming a popular best-seller? That certainly does cheapen the heartfelt place from which it was written – and probably doom me to disappointment. Not a great revelation. It’s funny how one, simple question can open up your view. Make you see things in a new way. Years ago while struggling with the writing of the book, someone very insightful told me “I think you’re trying to express your spirituality AND satisfy some past goal. Maybe has something to do with your parents.” Maybe. My truest intention with the book is this: I want to help people shed their pain and release the torment of their souls – I KNOW that it’s beneath us. It stands in the way of the truest most authentic expression of our beings. Intuitively, I feel like I’ve been given this task to face my own demons head-on. Although my own insecurities may be my biggest challenge to overcome, they’re also what give me the heartfelt intention to express this message. Instead of thinking of this as weakness, I should think of it as a necessary road to lead me where I NEED to go. The pain gives me humbled insight, the motivation to search for solutions and share them, and a gracious spirit. Looks like I’ll stay true to my personality type and continue on my lifelong path to learn and grow. Whether the book succeeds or fails isn’t up to me, I’ve earnestly done my part there, but my greatest accomplishment will not be achieved until I can be asked the question “Do you consider yourself a success?” And resounding and wholeheartedly answer, YES! Copyright © 2013 marciwise.com. Material is copyrighted but free to repost as long as proper credit is listed, including our website address. 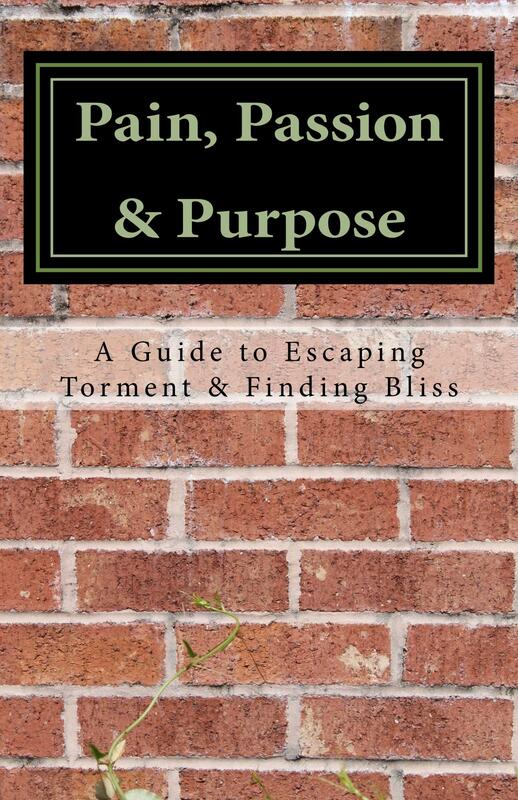 Marci Wise is the author of Pain, Passion & Purpose. “Like” us on Facebook. Thank you, Paulette, for your sweet response and kind words! One part of me knows the answer is yes, but it’s that other part that needs to be tracked down and chased out of Marci-ville! Sometimes the world and it’s expectations speak louder than our own inner voice – and I think that leads to a vague sort of “discontent.” So far my self-approval has been based on meeting goals – but really shouldn’t it be bigger than anything that we do – and simply be based on who we are? Mastering that sort of thinking will take some practice but I think it will be well worth the effort -not just for me but for anyone. Thank you for your encouragement and sharing your own special “light” with me! Blessings!